* Eat lots of fruits and vegetables. Green vegetables and carrots contain carotene, which is very helpful to maintain healthy eyes. * Avoid wearing contact lenses while sleeping and swimming. 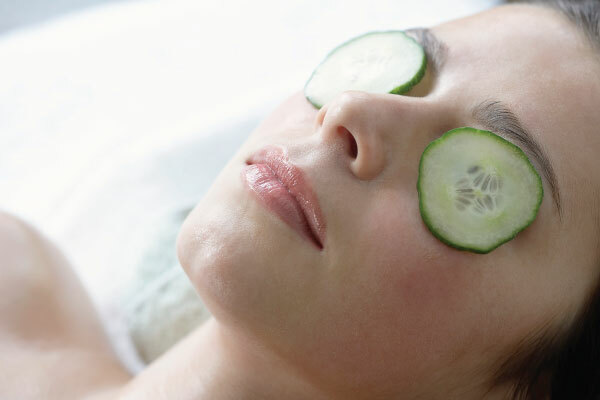 * Cucumbers are good for eyes. Put cold cucumber slices gently on your eyelids for ten minutes before going to bed. It helps to prevent inflammation. * Use UV protected sun- glasses with polarized lenses, not just darker glasses. * Avoid looking at the computer screen for a long time. * Avoid reading in dim light. This cause eye strain. * If your eyes feel tried, stop for some time and take rest. * Take sufficient amount of Vitamin A. * Don't put ever put salt in your eyes. * Avoid playing with sharp objects near your eyes.